We’re Off to the Races! 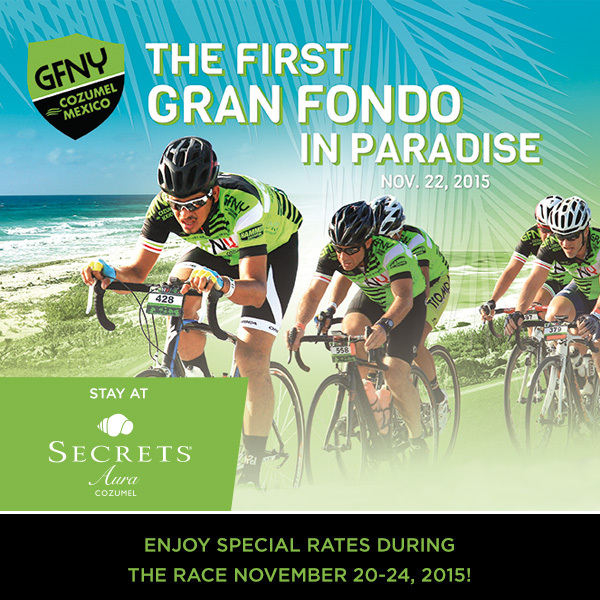 Experience The Gran Fondo with Secrets Aura Cozumel! For those with an incurable thirst for adventure, we have exciting news to share! This November, Cozumel will welcome The Gran Fondo bike race and Secrets Aura Cozumel is just the place to get in on all the action! Secrets Aura Cozumel is proud to welcome guests for the first Gran Fondo in Paradise in November! Ride the coastline roads of the island of Cozumel at The Gran Fondo bike race from November 20-24, 2015! Secrets Aura Cozumel, only minutes from the start point, will offer special rates to guests during the race. The Gran Fondo is a popular, mass participation cycling event that can be found across Europe, North America and beyond. Founded in Italy in the 1900’s, Grand Fondos feature challenging routes, electronic timing, fantastic giveaways, a consumer expo, well-stocked aid stations, mobile tech support and a fun post-race party. The challenge will start in downtown Cozumel and will lead participants through live bands and along the coast with breathtaking views of the turquoise Caribbean Sea. After the race, celebrate with meals and entertainment with a Mexican flair! 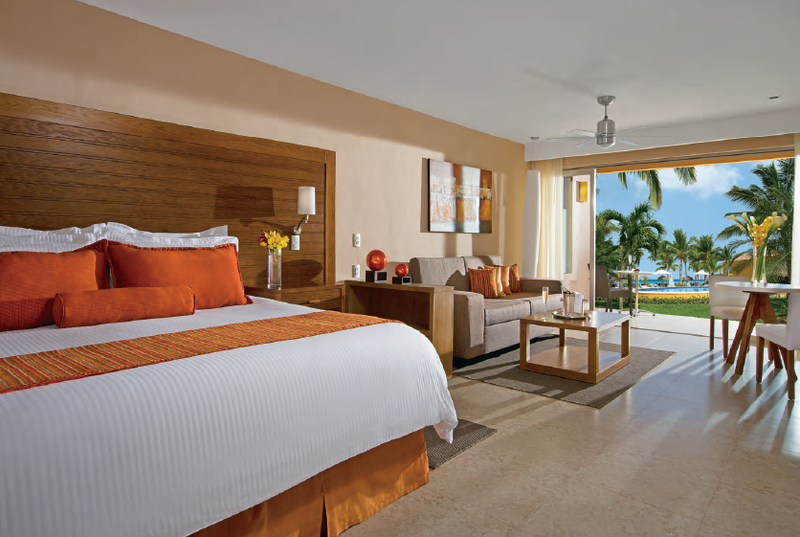 The only adults-only resort of its kind on picturesque Cozumel, Secrets Aura Cozumel combines all of the amenities of Unlimited-Luxury® with an unparalleled island vacation experience – it’s the perfect spot to relax and unwind after a whirlwind Gran Fondo experience! Start training now! Secrets Aura Cozumel is offering training rates available through November 19, 2015. Book by September 30th! Kick back and relax at Secrets Aura Cozumel after The Gran Fondo! This entry was posted in Secrets Aura Cozumel, Secrets Resorts & Spas and tagged bike race, Cozumel, mexico, Special Events, special offers. Bookmark the permalink. ← Introducing Over-the-Pool Cabanas at Secrets Silversands!